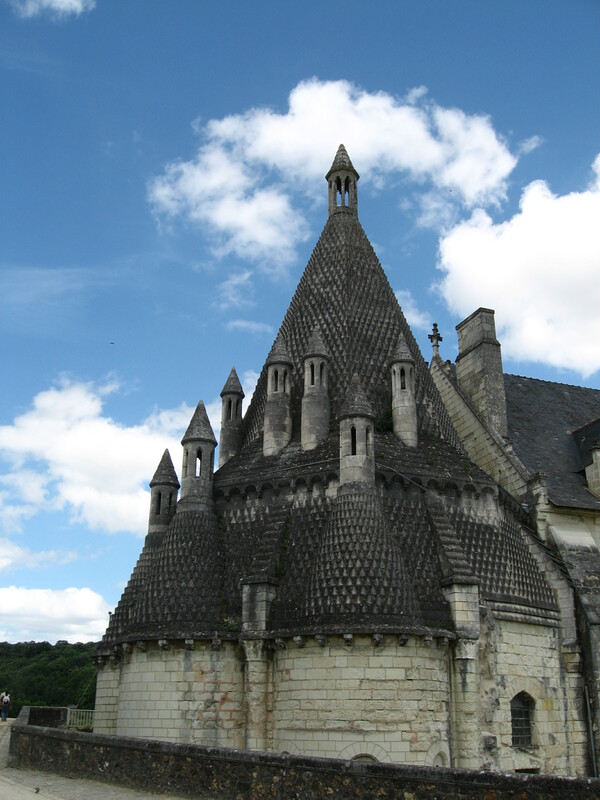 Tuesday, July 13 – Day Hike to Fontevraud l’Abbaye – 17 kms. | Say Mar Say! - C'est Marseille! Tuesday, July 13 – Day Hike to Fontevraud l’Abbaye – 17 kms. In Chinon, after chatting at length with some upper class English folks, we walked 17 kilometers to the Abbey Fontevraud along the River Vienne mostly and past fields and tall trees. Very flat. 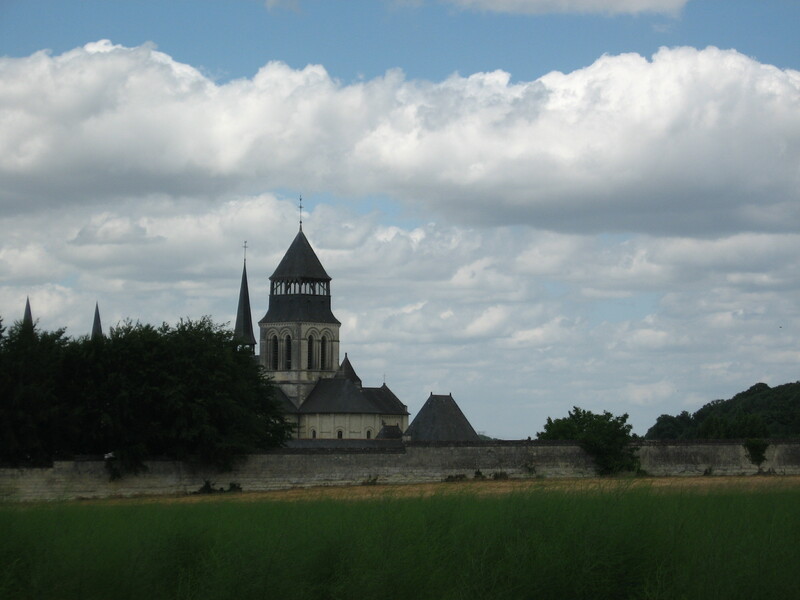 Met a friend and toured the abbey – very extensive and interesting – then our friend drove us back to Chinon. We washed and dried all of our clothes for the first time. The three of us enjoyed a dinner at the same place Peggy and I dined at several years ago. Our idyllic month — well, three weeks as it happened — of walking is over! What pleasure! Our 61- and 62-year old bodies held up! Peggy did a magnificent job of organizing the itinerary. Please write us if you have any questions about village-to-village walking in France. 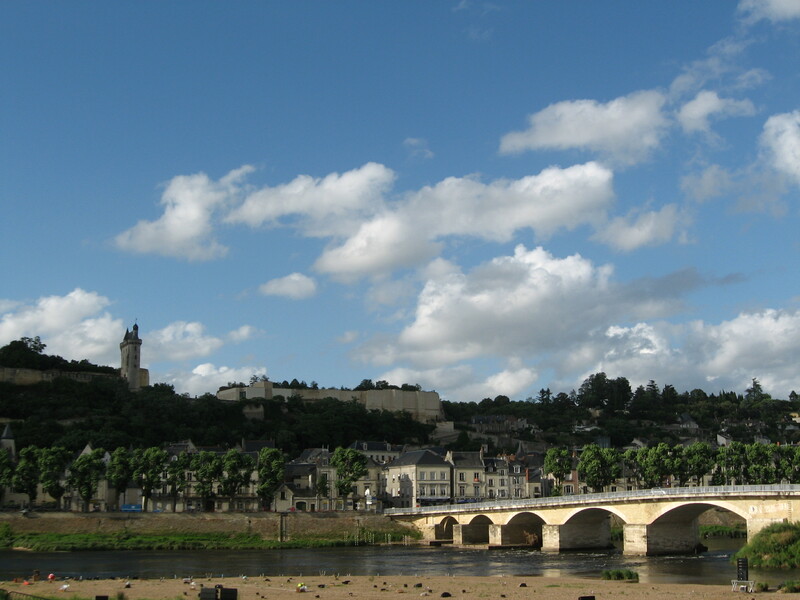 This entry was posted on February 7, 2013 at 9:50 am and is filed under Hiking In France. You can follow any responses to this entry through the RSS 2.0 feed. You can leave a response, or trackback from your own site.